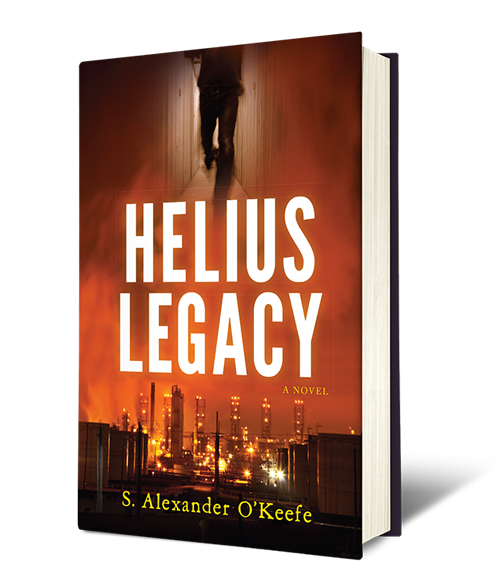 The last potential heir to the Helius Energy legacy was quietly eliminated over half a century ago . . . or so they thought. In December of 1999, a young reporter discovers an ancient deed in the Travis County archives of Austin, Texas. Hidden a century earlier, the original copy of the deed includes a covenant excised from the version available to the public. This covenant gives the grantor’s descendants the right to reclaim ownership of the property if any future owner violates an explicit use restriction: a bar against the extraction of mineral wealth from the land. The reporter is stunned by the discovery–the land subject to the deed is one of the most valuable oil fields in the world. Now, any descendant of the original grantor has the power to reclaim ownership of this billion-dollar asset with the stroke of a pen, and Helius Energy, the energy conglomerate that owns the land, has no intention of allowing this to happen. Within hours of the discovery, the reporter is on the run, desperately racing to stay ahead of a team of killers dispatched by Helius. A second team is winging its way to California, with orders to kill John Caine, the last living heir entitled to claim the legacy created by the deed. Caine is unaware of his ancestry and the nightmare coming his way. His only hope for survival is Andrea Marenna, a beautiful lawyer in Austin who is unwittingly drawn into Caine’s race. Together, they must find a way to survive long enough to unravel the century-old mystery that has placed them in harm’s way.